A new window into Chinese naval combined arms operations involving warships and fighter jets opened recently in the East China Sea. There the PLA carried out “live firing training” in a relatively small box-shaped area off Zhejiang Province between Zhoushan and Taizhou, within China’s Exclusive Economic Zone (EEZ) in the East China Sea from 30 June-5 July. The core theme of the combined arms exercises appears to have been demonstrating capabilities to attack surface ships, apparently a carrier strike group (CSG). Issues influencing the exact timing of the exercises likely include a desire to pressure the U.S. Navy not to hold exercises involving a carrier strike group with its South Korean counterpart in areas near China’s territorial waters and Exclusive Economic Zone. A variety of coordinated maueuvers by East Sea Fleet surface ships and aircraft, involving anti-ship cruise missile launches by the surface ships, appear to have been at the heart of the exercises. In addition to squadrons of minesweepers, landing ships, submarine chasers and frigates from Fast Attack Craft Unit 91765 of the East Sea Fleet, as well as perhaps with support from Unit 92910, platforms involved reportedly included the Houbei Type 022 fast attack missile catamaran with its YJ-83 anti-ship cruise missiles. Chinese writings frequently advocate the employment of multi-axis “saturation” attacks against a carrier strike group, in which both ballistic missiles launched from land-based mobile transporter erector launchers (TELs) and cruise missiles launched from ships (e.g., the Houbei Type 022 fast attack missile catamaran) or submarines might be used in coordinated strikes designed to disable a carrier strike group’s defenses by overwhelming them. The PLA is therefore likely to test a variety of missiles from a variety of platforms. This offers three potential benefits: opportunities to (1) test its progress toward achieving some form of multi-axis combined-arms coordination, (2) demonstrate some level of existing capability, and (3) demonstrate a high level of resolve. 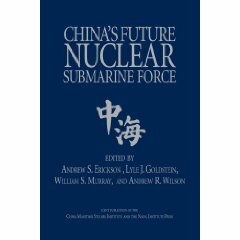 It also offers potential insights into the PLA’s command and control capabilities, such as might be needed to execute a true combined arms attack–an achievement that many analysts have believed to be beyond the PLA’s ability. Featuring in the Zhoushan exercises, reportedly, were stealthy Houbei class Type 2208 wave-piercing missile catamarans from Fast Attack Craft Unit 91765 of the East Sea Fleet. China’s 50+ hulls of this high-speed, stealthy, wave-piercing catamaran carry 8 YJ-83 anti-ship cruise missiles each. Regardless of their role in these particular exercises, these Fast Attack Craft are a vital part of China’s naval development. A Chinese warship launches a missile in the East China Sea on 6 July 2010. China’s surface fleet includes “well over 50 to date, with more under construction” of the 220-ton displacement Houbei Type 2208 missile catamaran. The high-speed (at least 36 knots, cited by some as exceeding 50 knots), wave-piercing, low observability (radar cross-section-reduced) catamaran, which is based on an Australian ferry design, is becoming a key component of the new PLAN (along with submarines). It might be given a mission to quickly destroy Taiwan’s surface force, if that fleet got out of port in the unfortunate (and increasingly unlikely) event of cross-Strait hostilities. The Houbei’s impressive anti-surface weapons system, consisting of 8 YJ-8A ASCMs fired from stern-mounted canisters, each with a range of approximately 50 nautical miles, would be highly effective in attacking surface warships in the waters around China, though the catamaran’s limited endurance (300 nautical miles) would not allow it to operate for extended periods at much greater distances. Other weapons systems include a Russian six-barrel AK-630 30 mm close-in weapons system on the front deck, and two four-cell tube launchers, perhaps for decoy and chaff, on the bow deck. The bridge may hold a small FLS-1 short-range surface-to-air missile launcher. The 2208’s minimal in-water profile and high speeds could make it very difficult to hit with torpedoes. It would probably not be possible to use wake-homing torpedoes against Houbei catamarans. The torpedoes do not go fast enough, and lack the endurance to catch up with the Houbei if it is at speed. It also is unclear if the Houbei has sufficient displacement to satisfy whatever arming criteria a wake homer has. In any case, the U.S. does not have them. Chinese sources have suggested the use of small, fast craft to attack carrier strike groups—a possible anticipation of the Houbei missile catamaran’s envisioned operational role. This would represent modern, cruise missile-focused realization of swarming tactics, a traditional PLA Navy concept. 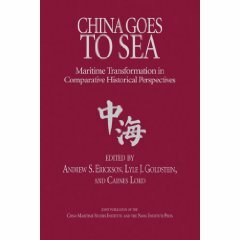 [Quotations regarding the number of Houbei Type 022 hulls and the YJ-8A ASCM range figures are from the following unclassified report: The People’s Liberation Army Navy: A Modern Navy with Chinese Characteristics (Suitland, Md. : Office of Naval Intelligence, July 2009), pp. 1, 20.]. 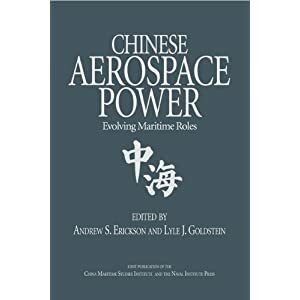 Nan Li, “All at Sea: China’s Navy Develops Fast Attack Craft,” Jane’s Intelligence Review, (September 2009), pp. 2-3. Despite these limitations, in Prof. Li’s assessment, the Type 022’s “relatively low cost of approximately USD14.3 million per unit but decent performance means the vessel is the only platform that has been mass produced in the PLAN’s post-2000 naval modernization drive. Current Jane’s estimates suggest China will build 81 type 022s to equip three 27-boat flotillas, one for each fleet, but this number could rise”; China has constructed roughly 60 hulls since 2004. Depending on their precise nature, and how Beijing explains them to the world, these exercises may provoke negative reactions. The exercises could seem very escalatory to some, especially as they appear designed specifically to target carrier strike group(s). They will undoubtedly be watched very closely in the U.S. and East Asian nations looking for signs of China’s intentions, particularly at a time when Beijing has apparently been quite accommodating of Pyongyang’s behavior. And there remains the issue of China’s ASBM and the state of its development. One thing is certain: consistent strategic dialogue between the U.S. and China is becoming more important than ever before. Li Xiaokun, “PLA set to hold Sea Drill,” Foreign and Military Affairs, China Daily, 29 June 2010. BEIJING – The People’s Liberation Army (PLA) will launch a six-day, live ammunition drill starting on Wednesday in the East China Sea, a move that analysts said is in response to a joint exercise between the United States and Republic of Korea (ROK) navies in the Yellow Sea. The PLA decision was issued on June 24 and posted on major Chinese websites on Monday, when the US-ROK drill was scheduled to start. The US and ROK earlier cited the Democratic People’s Republic of Korea (DPRK) as the target of their drill. A US nuclear-powered aircraft carrier is also reportedly scheduled to participate in the exercise not far off China’s coast. But the ROK navy announced on Monday that their joint maneuver has been postponed to July. According to the PLA announcement, all vessels will be prohibited from entering its designated exercise area from midnight to 6 pm, from June 30 to July 5. “They must follow orders of the Chinese navy to ensure safety,” it said. An officer of the Ministry of Defense said on Monday that the PLA’s planned drill is routine. But the Hong Kong-based Mingpao Daily News called the announcement a “rare move” to publicize a military drill days in advance. Some analysts said the move is clearly related to the presence of aircraft carrier USS George Washington near China’s shores, which put major cities including Beijing and China’s coastlines under the US carrier’s combat scope. 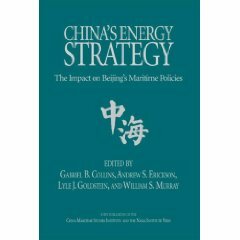 “Though the Chinese government did not say anything about the drill, anybody with common sense on military strategy will bet that they are related,” said Shi Yinhong, a senior expert on US studies at Beijing-based Renmin University of China. Foreign Ministry spokesman Qin Gang said earlier this month that Beijing is seriously concerned about the US-ROK joint exercise and is closely following the matter. “Under current situations, relevant parties should exercise restraint and refrain from doing things that may escalate tensions and harm the interests of the countries in the region,” Qin said. Ma Xiaotian, the PLA’s deputy chief of staff, said at an annual security conference in Singapore on June 5 that one of the major obstacles in China-US military relations is the “high-intensity surveillance of US warships and planes in the South China Sea and East China Sea.” US Defense Secretary Robert Gates was also present at the meeting. The US and ROK said the joint exercise is targeted at the DPRK after the deadly sinking of an ROK warship in March, but it is “still extremely rare for a major power to send an aircraft carrier that close to another major power,” Shi said. Li Jie, a researcher with the Chinese navy’s military academy, said the US-ROK drill will not help ease tensions over the sinking of the ROK warship. Pyongyang threatened on Monday to bolster its nuclear capability to cope with what it said is a hostile US policy and military threats. Still, other analysts said the two latest drills are not related as the Chinese navy carried out a similar move last year. Chen Hu, editor-in-chief of the World Military magazine affiliated to the Xinhua News Agency, said Beijing does not necessarily see the US-ROK exercise as a provocative act. “Instead, the PLA can take the presence of the giant aircraft carrier fighting group as a ‘drill target’,” he said. PLA (People’s Liberation Army) issued a notice of voyage suspension on June 24 that a live firing training is going to be carried out in the area from Zhoushan to the east of Taizhou, within the NO. 191, NO.192, NO.196, NO.197, NO.198, NO.203, NO.204 and NO.205 fishing area at 0 o’clock to 18 o’clock every day from June 30, 2010 to July 5, 2010. During the training, vessels of any kinds are forbidden to enter into the above mentioned area, and should obey the order of the naval vessel for safety concerns. Shenzhen Post Elaine Contributes to the Story.